bestsellers – Reader! Read Faster! Our bestseller two months in a row. Fergie’s book has kicked all opposition into, er, the back of the net. No. 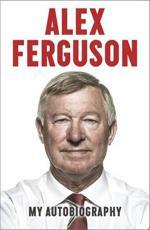 Fergie’s book has shown the red card to all its opposition. That’s better. We’re not too good at football metaphors. Selfies, clothes, celebrities, hair, trigonometric functions. Maybe not that last one. Customers please note that the title of this book is not an instruction. 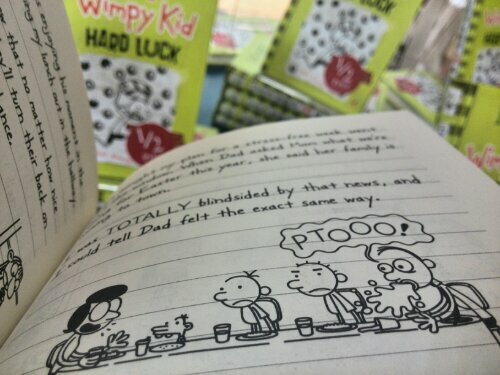 This book is not for digesting, and please stop bringing your own tomato sauce. School. It’s like university, only the people are shorter and there’s a bit less boozing. 10 – Catching Fire by Suzanne Collins. Last month’s second in the league storms to the top of the table after successfully dribbling his way between the legs of our customers and scoring superb goal between their, er, bookshelves. Also soon to be available as a Penguin Classic: The Krankees’ Little Book of Philosophy; The Moomins – From Struggle To Democracy; My Part In The Downfall Of S-Club 7 by Bernard Butler. The former Popworld host gives her wisdom on selfies, clothes, celebrities, clothes and hair. Soon to be available as a Penguin Classic. Chuck signed for us at the Anthony Burgess centre on a whistle-stop tour of two cities in one night. We would drizzle this entry with as much knowing sarcasm as the rest of this blog post, but he was quite brilliant: funny, shocking and moving. Soon to be available as a Penguin Classic. 6 – Peas & Queues by Sandi Toksvig. Soon to be available as a Penguin Classic. 7 – The Lonely Londoners by Samuel Selvon. Soon to be available as a Penguin Classic. 8 – The Hunger Games by Suzanne Collins. 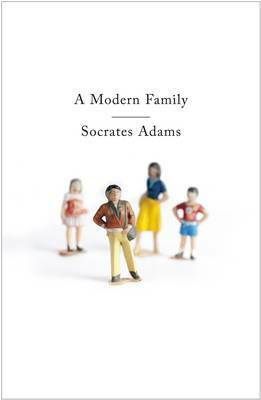 Soon to be available as a Penguin Classic. 9 – Catching Fire by Suzanne Collins. Soon to be available as a Penguin Classic. 10 – Campbell’s Biology. Soon to be available in translation for Krankee’s fans. And as a Penguin Classic. This blog: Soon to be available as… oh you get the idea. Let’s have a look at our bestselling books for last month. 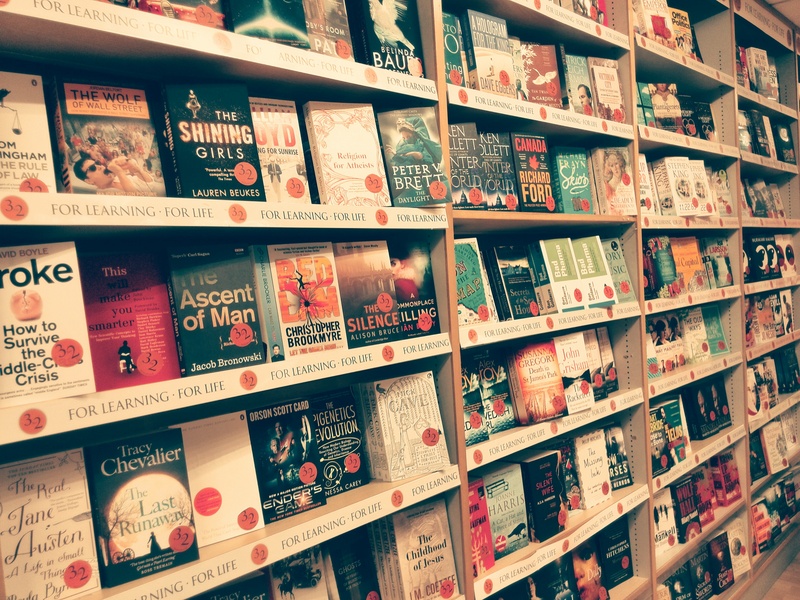 The clocks changed, the evenings became darker and all you had to snuggle were your books. What did you buy? The lead singer of Girls Aloud writes about guesting on drums for Queens of the Stone Age following his international smash hit album Graceland. The passage about his Hanson tribute act with John Lennon and the Black Eyed Peas’ apl.de.ap is particularly illuminating. Insert equally witty nonsense blurb about obscure football teams and historical Division One players, wedging in the old pub quiz answer about Stockport County being closest to the River Mersey and something about football teams with X in the name. So if you do management, economics, maths, footie or swirl around a stage with gladioli, October was for you. 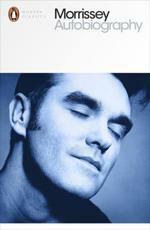 It’s 1.30pm, five hours into the sales of Morrissey’s Autobiography, and the Moz’s book is now our biggest selling biography of 2013. It is also our bestselliing music book, passing our runaway bestseller Bob Stanley’s Yeah Yeah Yeah shortly after lunchtime. 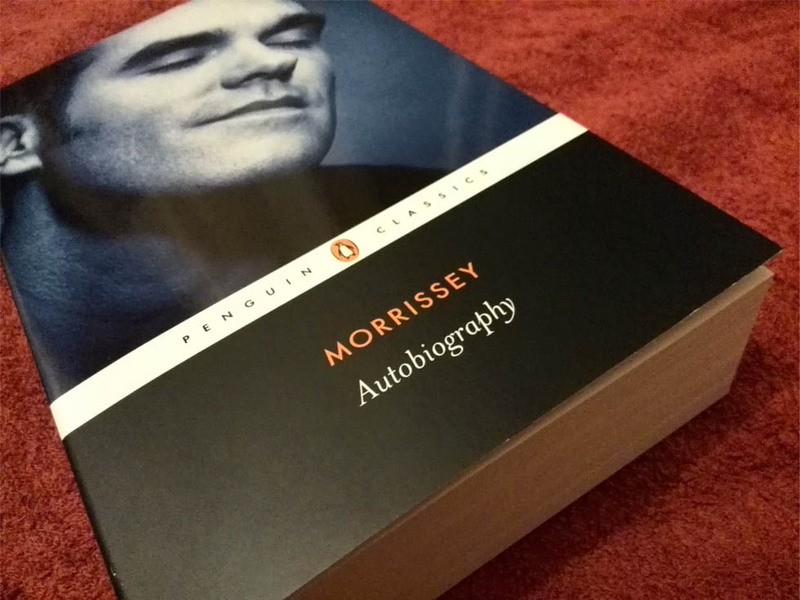 The singer’s tale of his time in the Smiths and, well, everything else – from school dinners to court battles – created controversy when it was released under the Penguin Classics imprint. But it hasn’t stopped people buying it. We are tweeting single words from the book all day today for those that can’t be bothered to read the 800+ pages. Follow us on Twitter here.